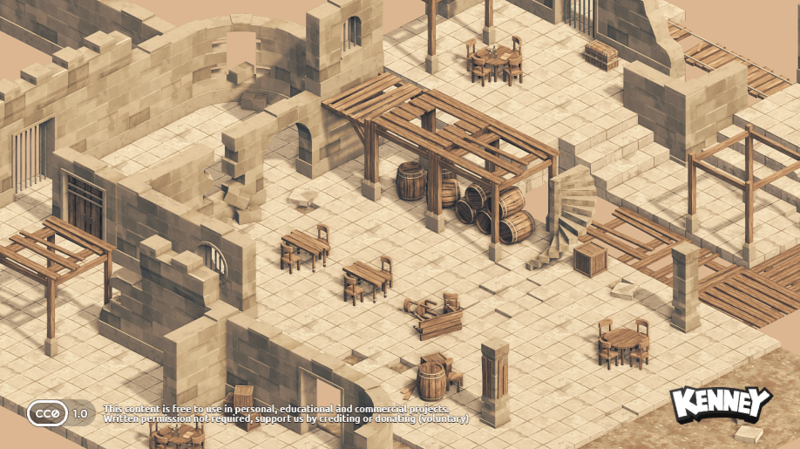 This isometric tileset has a completely new art style unlike my previous assets (relax; will only stick to these isometric themed tiles).This package includes isometric tiles for dungeon related levels. 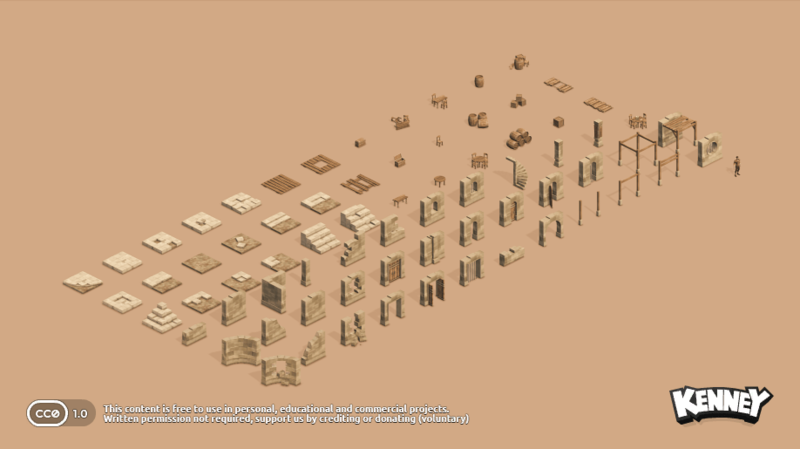 Included are walls, floors, furniture, crates, barrels, stairs and more. OMG! Kenney, you are awesome!!! Do we need a jaw dropping smiley? My jaw has dropped, followed by a smile. Wow! Does this come included in something I'm already pledging? Or paid for? Or... screw it, it's just a donation anyway, paying what may or may not be extra to get the rest. Getting the Komplete Pack. I know I have some or most of that already, but heck, $35 for everything is a steal. Is there a blend file of the 3d assets? REALLY nice! Will you be adding some characters? Expanding this? very cool to see you playing around with a different style, and doing so well with it too! Very nice, I like that new style. Kenny never fails to amaze. I would love to see a darker, perhaps cave version of these tiles. They are a bit too bright to be a dungeon. Looks more like a desert ruin. That's the magic of CC0. Modify them to your heart's content and release the new versions here.